David Guetta has confirmed the details for his new album. The French DJ and record producer christened his sixth studio collection “Listen” and will release it on November 24 via Atlantic / Parlophone Records. Current single “Dangerous” – which features vocals from Sam Martin – is now available for download via iTunes (US). The track was written by Guetta and Martin along with Lindy Robbins, Jason Evigan and Giorgio Tuinfort. “Listen” boasts further guest appearances from Sia [RCA Records], John Legend [Columbia Records], Emeli Sande [Capitol Records], Nicki Minaj [Republic Records] and Bebe Rexha [Warner Bros. Records]. On the songwriting front, Guetta has teamed up with Alicia Keys, Shaffer “Ne-Yo” Smith, Julie Frost, Sean Douglas, Ester Dean, Ryan Tedder, Skylar Grey, Veronica Vega, Sandy Vee, and Terius “The-Dream” Nash. The highly-anticipated project serves as the follow-up to 2011’s “Nothing But the Beat,” which peaked at number five on the US Billboard 200 Albums Chart. Peep the tracklisting, songwriting and production credits for “Listen” below. Written By: [David Guetta / Giorgio Tuinfort / Sam Martin / Jason Evigan / Lindy Robbins]. Produced By: [David Guetta / Sam Martin / Jason Evigan]. Written By: [David Guetta / Giorgio Tuinfort / Alicia Keys / Breyan Isaac / Jason Evigan / Sam Martin / Sean Douglas]. Produced By: [David Guetta / Giorgio Tuinfort]. Written By: [David Guetta / Giorgio Tuinfort / Ester Dean / Nick Rotteveel / Sjoerd Janssen / Wouter Janssen / Terius “The-Dream” Nash]. Produced By: [David Guetta / Giorgio Tuinfort / Nicky Romero / Showtek]. Written By: [David Guetta / Sam Martin / Frédéric Riesterer / Giorgio Tuinfort / Jason Evigan / Michael Einziger / Tim Bergling]. Produced By: [David Guetta / Avicii / Frédéric Riesterer / Giorgio Tuinfort / Daddy’s Groove]. Written By: [David Guetta / Frédéric Riesterer / Giorgio Tuinfort / Veronica Vega / Jason Evigan / Sam Martin / Sean Douglas]. Produced By: [David Guetta / Frédéric Riesterer / Stadium X]. Written By: [David Guetta / Giorgio Tuinfort / Geoffro Cause / Julie Frost / Nico Sereba / Vincent Dery]. Written By: [David Guetta / Giorgio Tuinfort / Austin Bis / Jason Evigan / John Stephens / Juaquin Howard / Sarah Rayne]. Written By: [David Guetta / Giorgio Tuinfort / Marcus van Wattum / Nick Rotteveel / Sia Furler]. Produced By: [David Guetta / Marcus van Wattum / Nicky Romero]. Written By: [David Guetta / Giorgio Tuinfort / Bebe Rexha / Sean Douglas / Tim Bergling]. Produced By: [David Guetta / Avicii / Giorgio Tuinfort]. Written By: [David Guetta / Giorgio Tuinfort / Bebe Rexha / Ester Dean / Nick van de Wall / Sean Douglas]. Produced By: [David Guetta / Afrojack / Giorgio Tuinfort]. Written By: [David Guetta / Shaffer “Ne-Yo” Smith / Giorgio Tuinfort / Sjoerd Janssen / Wouter Janssen / Sonny Wilson]. Produced By: [David Guetta / Showtek / Giorgio Tuinfort]. Written By: [David Guetta / Giorgio Tuinfort / Pierre-Luc Rioux / Ryan Tedder]. Written By: [David Guetta / Sandy Wilhelm]. Produced By: [David Guetta / Sandy Vee]. 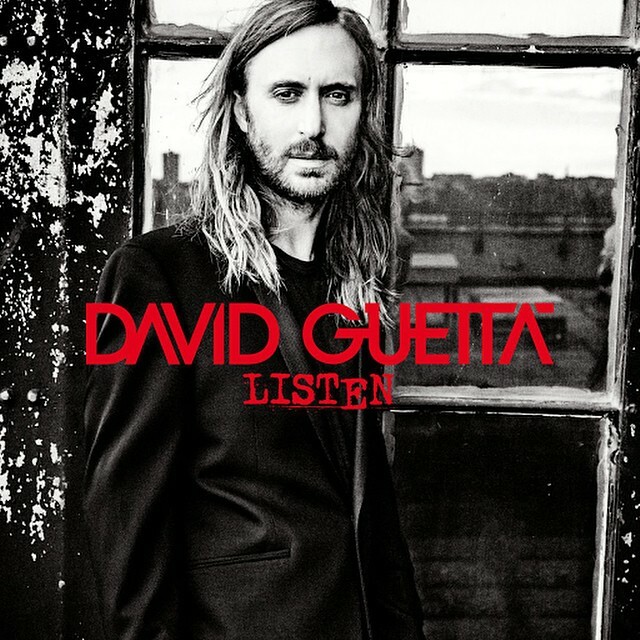 Written By: [David Guetta / Giorgio Tuinfort / Sia Furler].